The U.S. has spent $1.6 trillion on post-9/11 military operations, including the wars in Iraq and Afghanistan and other counterterrorism activities, according to a new report from the Congressional Research Service. “Based on funding enacted from the 9/11 attacks through FY2014, CRS estimates a total of $1.6 trillion has been provided to the Department of Defense, the State Department and the Department of Veterans Administration for war operations, diplomatic operations and foreign aid, and medical care for Iraq and Afghan war veterans over the past 13 years of war,” the report said. 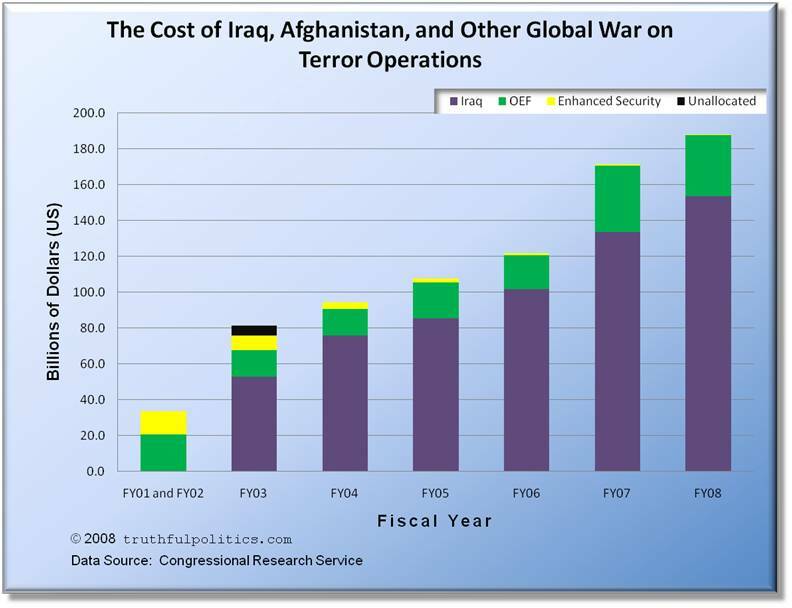 See “The Cost of Iraq, Afghanistan, and Other Global War on Terror Operations Since 9/11,” December 8, 2014.